“I do have one news item for you from Russia. 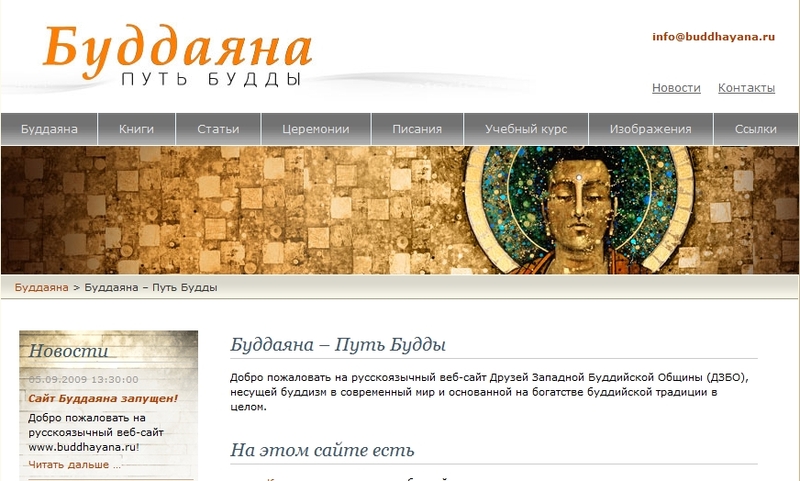 There is a new Russian FWBO website - www.buddhayana.ru - which has just gone live. It is a stylish and substantial site with four complete books translated into Russian plus 300 or more pages of the first year of the new mitra study course. "The study material is at www.buddhayana.ru/учебный-курс.html; and there's samples of the artwork of Aloka and Chintamani at www.buddhayana.ru/изображения.html. "Saddhaloka masterminded both the creation of Buddhayana.ru and the publishing project, with help with Russian from Nagadakini from Germany. The website itself was designed by Taivo Org from Estonia. “The site joins two other FWBO websites in Russian - the main “fwbo.org” site introducing the FWBO, at http://russian.fwbo.org; and свободный дух, or the Russian version of Wildmind meditation teaching, at http://russian.wildmind.org. 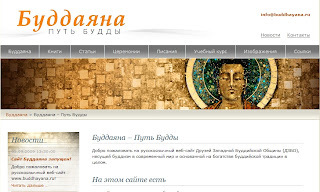 "As well as making available a large number of Buddhist texts on the web for Russian speakers, Buddhayana.ru and the other sites will provide a valuable way for Order Members to make known their teaching activities in Russia. Saddhaloka, Nagadakini and Sarvamitra have all visited and taught in Russia, and early in 2010 I myself, Suvannavira, plan to live again in Moscow and start teaching activities.